Women focus on what women do to change the world. They are going to lead. As an enthusiastic advocate for more women in leadership, I could not be happier. I'm happy because achieving leadership parity is more than a social justice issue. Of course, it's not fair that women are systematically marginalized in terms of having their ideas heard and taken seriously. But even worse, it's threatening to the future of civilization for most of us to mistake alpha male behavior for leadership while the real leadership of creative collaboration is viewed as weak . . . as it is in our Congress. But I am also concerned. I am concerned that women's ascent into leadership may be stalled by an underreported male reaction to the #MeToo campaign. I am hearing a troubling response from men to the uncovering of sexual assault, intimidation, and harassment by powerful males in organizations of all kinds. Their common response is that over-the-line behavior in which males demand sexual submission by women is monstrous. What they experienced as a gray area of social stupidity or immaturity, that might inadvertently make women uncomfortable, is now a career-threatening mistake. This may be spooking the herd (of men) to charge off in unwanted directions. Last week I talked to a senior leader in his 50's who said, "I will never ask a female colleague to lunch or even coffee without a third person present." He went on to say that in the current atmosphere an accusation of impropriety is enough to get you suspended, fired, or dead-ended. Then he said the dreaded words: "It's another reason why working with women can be such an added hassle." Before your head explodes, let me assure you I get it. When bullies turn themselves into victims, it makes you want to throw up. But let me also assure you that mass male confusion about unacceptable behavior is leading many men to say they would prefer not to work with women because the sensitivity to unacceptable behavior is so variable. What's frustrating is that the reason the rules may seem so variable is that many women have accepted creepy behavior in the workplace for decades as the condition of their job. The result is that many men honestly do not have mental guardrails about what is respectful behavior and what is not. When I have related this male handwringing to successful, professional women, several of them have blasted me. They believe that men's complaints like this are lame. One of them said, "Men know what is okay and what is not. They're transforming our justified grievances into weapons to punish us." I get it. I am in no way defending men. I am not defending bad behavior, and I am not defending their general lack of social and emotional intelligence. What I am saying is that what many men are saying privately to me seems sincere and potentially lethal to my campaign of recruiting one million men to actively support the promotion of one million women every year for the next five years. So, I've been thinking about this a lot. One thing that would help is if women took the problem of male confusion seriously. In most companies that I have done gender equality assessments in, I found an alarming level of low emotional intelligence among males. Most men do not have a clear idea of the impact of their words and behavior on women. In technology companies I found an extraordinarily high number of technically trained males to be virtually clueless when it comes to social awareness of the impact of their communications with women. I realize that ignorance is no excuse. So, males don't get off the hook by simply claiming they didn't understand that behaving like a social moron was offensive. At the same time, we have generated some simple but precise workplace principles that will stop males from blaming women for creating conditions which make working with women high-risk. It comes down to two words . . . dignity and clarity. Many women who are frustrated with males whining about vague rules of behavior respond to me by saying men must treat us with "respect." But when I try this out on males, I have gotten a lot of pushback. Evidently, respect means different things to different people. Too many alpha males, respect also connotes toughness. So, some have suggested when they talk to women colleagues the same way I talk to male colleagues about whatever I want to talk about . . . that is respect. To which I reply, "No, that is stupid." Treating everyone the same is a sure indicator of low emotional intelligence. 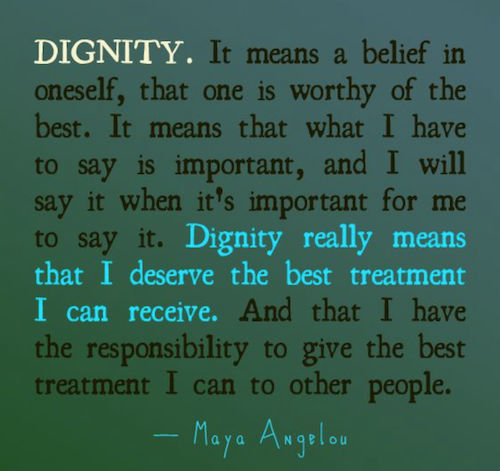 The best word is Dignity. Dignity is a word I've had the most success with. When I ask a male what it's like to treat a woman with dignity, they respond similarly. Many men have said that it would be like the way I would talk to their mother. One said, "I certainly wouldn't tell an edgy joke or use a double entendre around my mother. She wouldn't like that. And of course, I would never want to make her feel uncomfortable." I realize that not every man has a mother who isn't salty, but the social archetype of the concept of a mother is a woman you would treat with dignity. I have found most men immediately get that. Privately, some men admit that it's hard for them not to sexualize their thoughts about women. They immediately attribute this to their hormones and state that it's a natural thing to do. When this happens, I try to point out that our culture has lost the expectation that one of the great goals in life is to become more virtuous. Virtues are elevated habits of thought that lead us to become better people from the inside out. Few people talk about the need to become more patient, kind, disciplined, humble, honest, respectful, or charitable. Some people seem to think that attempting to acquire moral virtues is inauthentic as if our animal urges will lead us to happiness. They don't. Both history and modern research on happiness tell us that if we do not act in virtuous ways, we will suffer and cause others to suffer. Acquiring virtues is primarily an act of mental discipline. When you put bad things out of your mind and focus on noble ideals, you rewire your neural networks to think at a higher level. It's called up-leveling thought. It requires inner exertion. It's not easy, but it changes the voices in your head and is the foundation for genuine self-respect. So, treating women (as well as all people) with dignity is an acquired virtue. 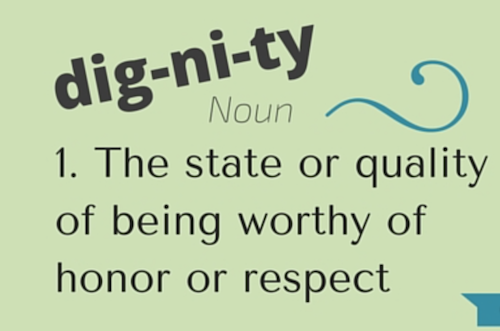 As I have tested this concept with women in the workplace, I found they like the word dignity too. Yesterday, a female thirtysomething professional said to me, "That's all I've ever wanted . 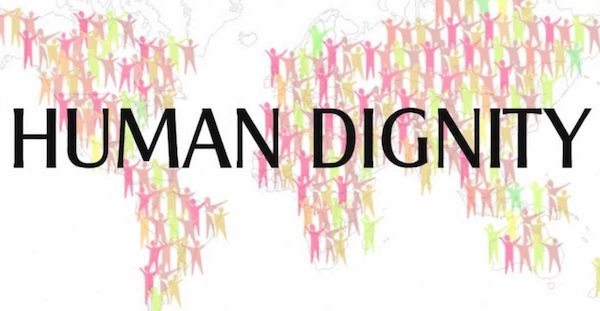 . . to be treated with dignity. If I was treated that way, I would never have to worry about any form of sexual harassment or even unfairness for that matter." So, I've come to love that word . . . dignity. It already seems to have removed a lot of ambiguity for the men I counsel. It gets them out of their victim confusion and allows them to focus on treating their female co-workers in a way that is mutually empowering. Now I have a word for women . . . clarity. When I ask men what they want from women, they generally say the same thing: clarity. Men are confused by equivocating, complexity, and imprecise requests. It's much easier for a linear brain to process a clear request. When I coach women leaders I tell them that the fundamental principle of power for a woman is to be both clear and calm. Ask for what you want with precision. Make your preferences precise. Set boundaries that are clear when needed. What I have found in my professional practice is that most men are not monsters. It's true that males struggle with impulse control and dominance issues. But one of the greatest ways women can help men to acquire higher virtues and be their best selves is to be clear on what you want, what you expect, and what empowers you. Dignity and clarity . . . two great words we need to use to get to synergy and improve the future of civilization for all of us.